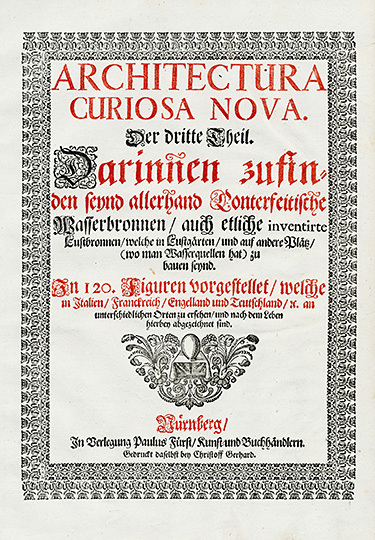 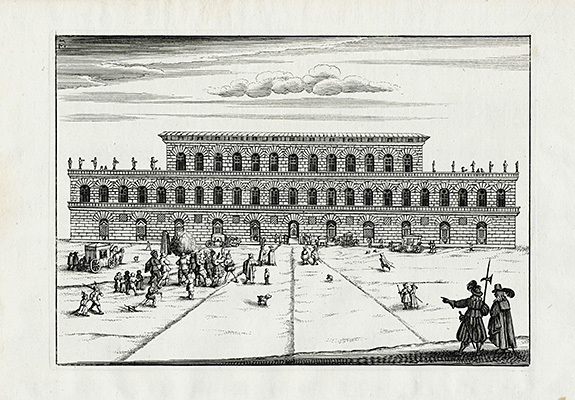 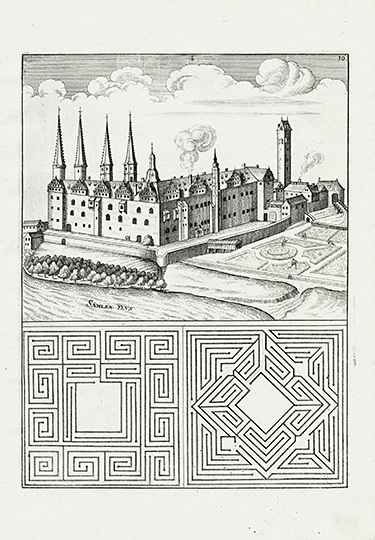 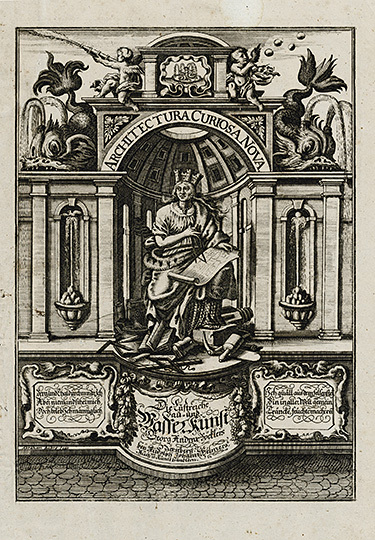 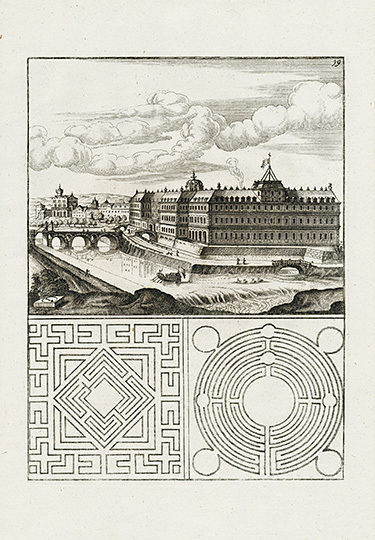 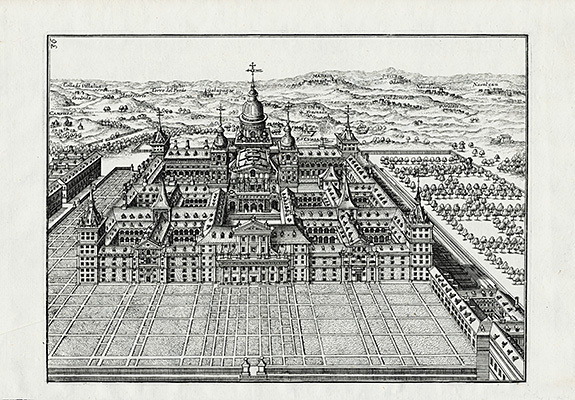 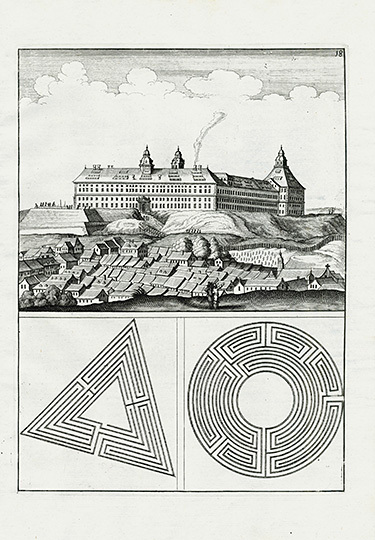 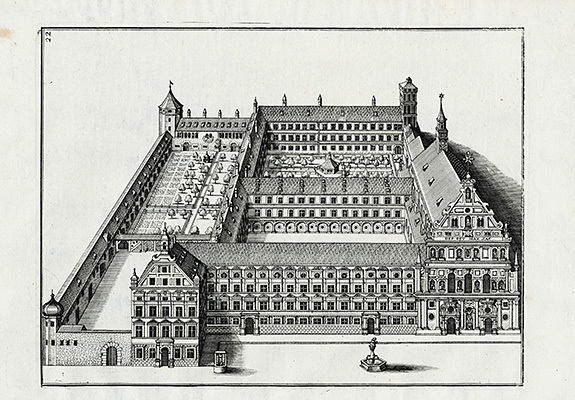 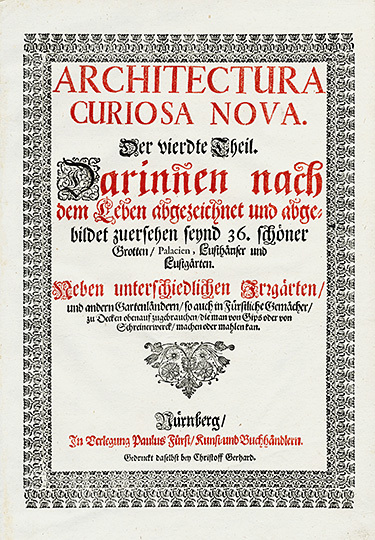 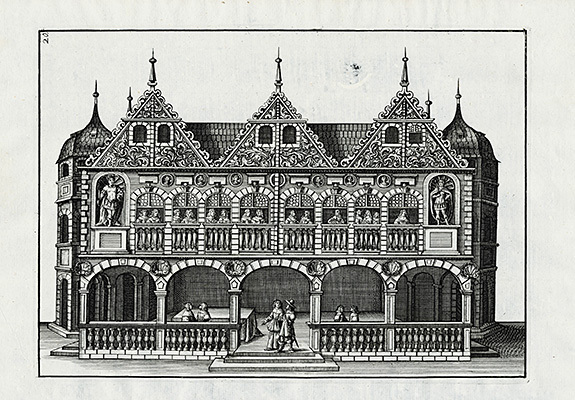 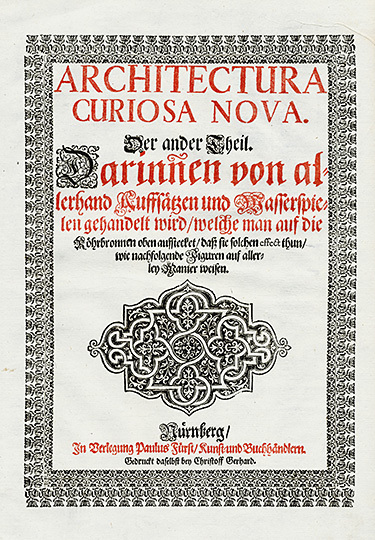 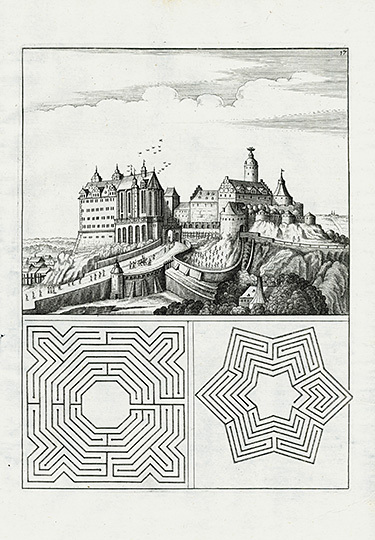 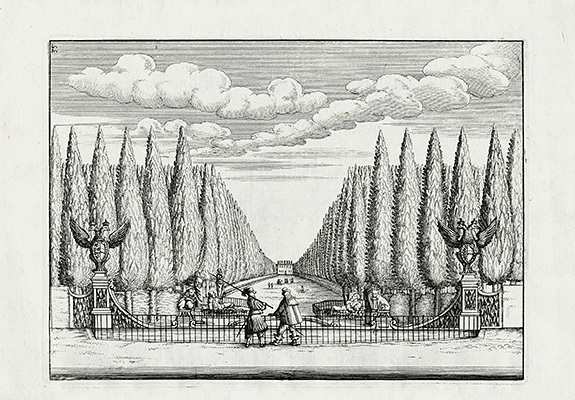 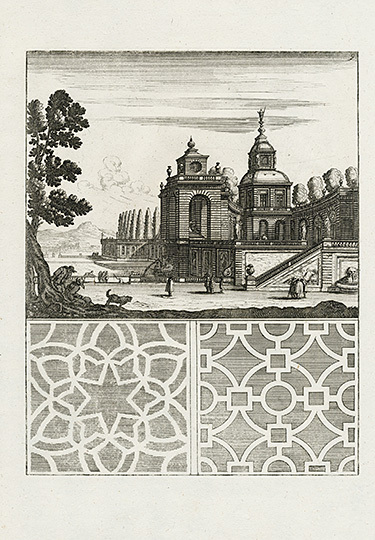 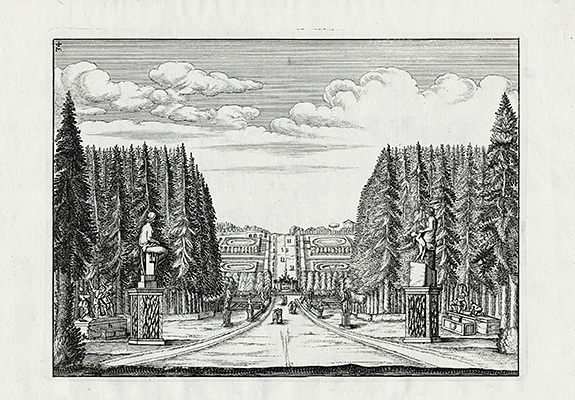 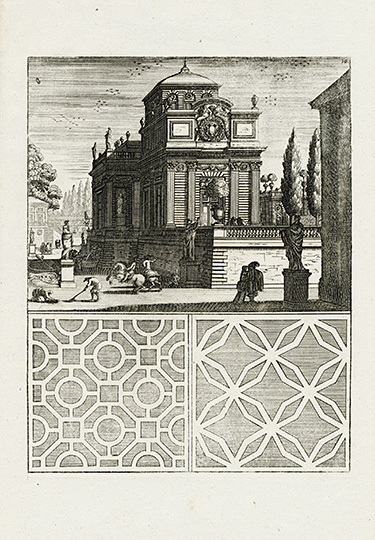 We are delighted to offer engravings from the dynamic and exceedingly rare work of George Andreas Bockler (1648 – 1685), “Architectura Curiosa Nova” published in 1664 in Nuremberg, Germany. 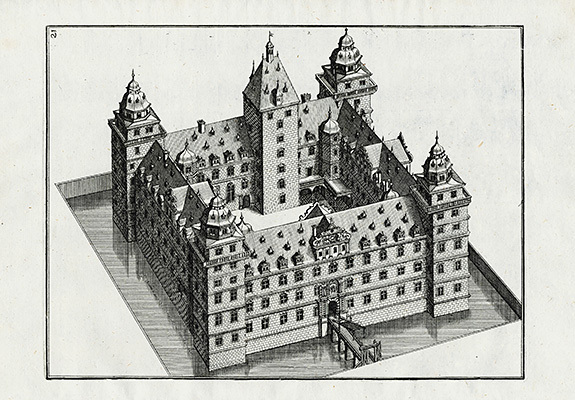 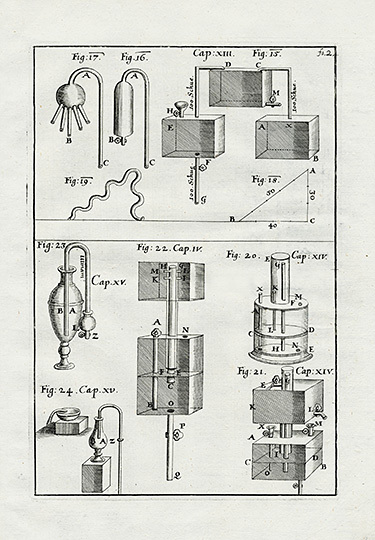 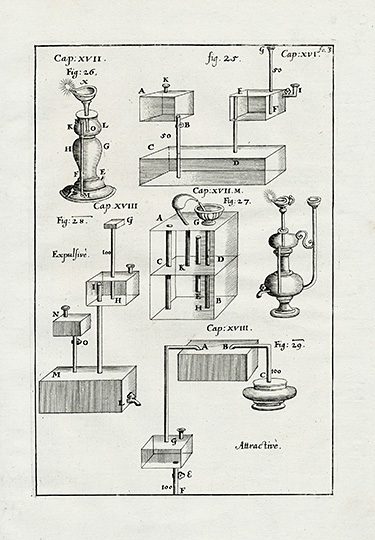 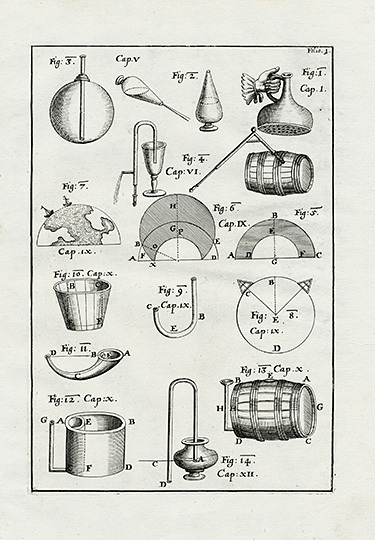 Bockler, a German architect and engineer from Nuremberg was fascinated with water-raising devices, mills and other industrial machinery, fountains and all things mechanical, especially machines with many gears and complex moving parts. 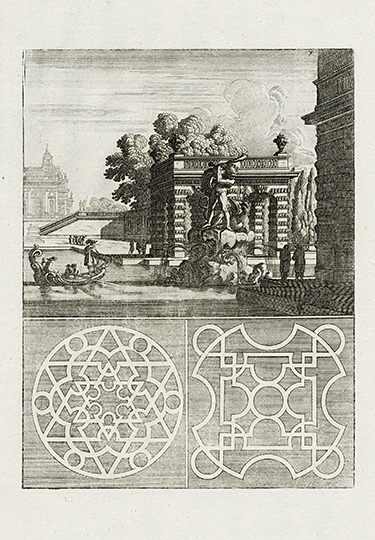 “Architectura Curiosa Nova” is a comprehensive overview of the fountains of Europe with an introduction about the technical side of hydraulic engineering. 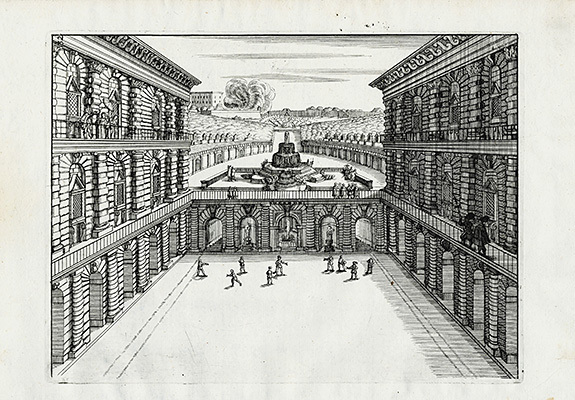 It shows many examples of fountains and the differing effects that can be created by the flow of water through them. 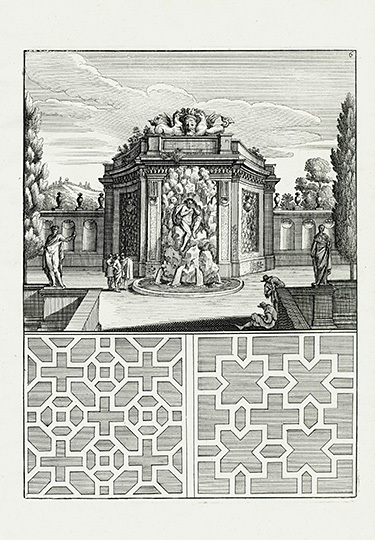 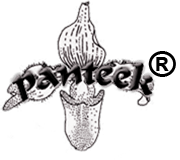 Each engraving is strongly rendered on soft white, chain-lined paper that is in excellent condition for a work that is now almost 350 years of age. 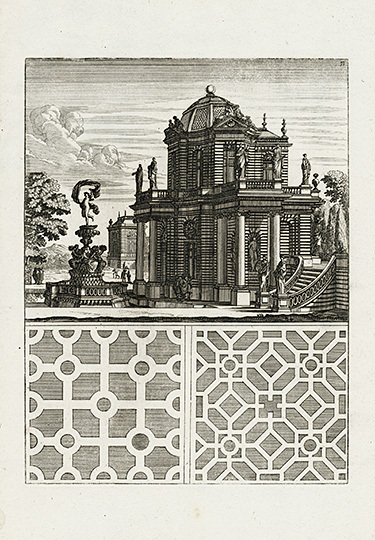 There is no foxing and the engravings are very strong, with remarkably beautiful images. 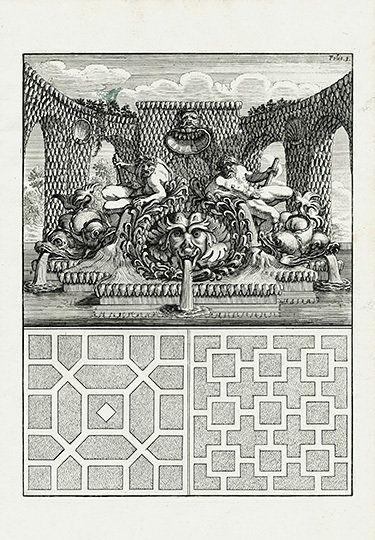 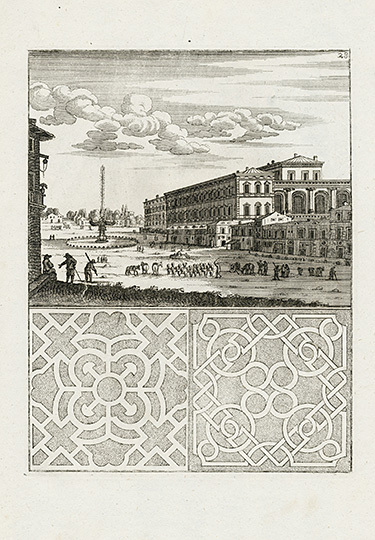 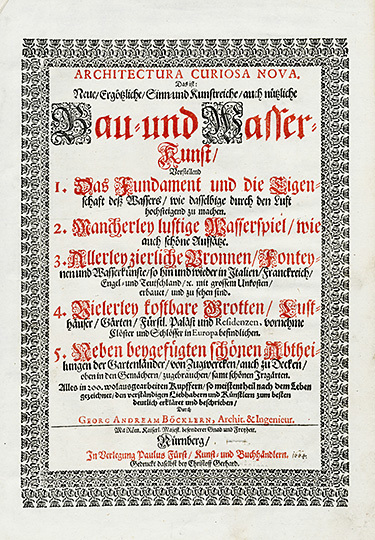 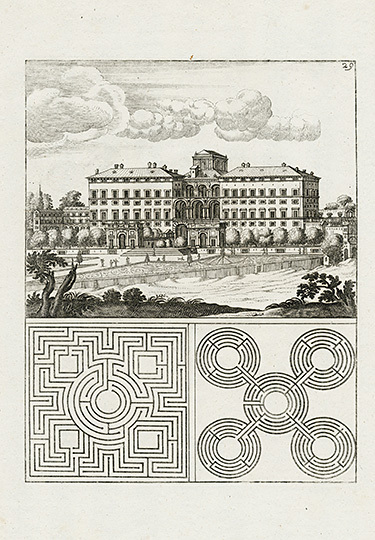 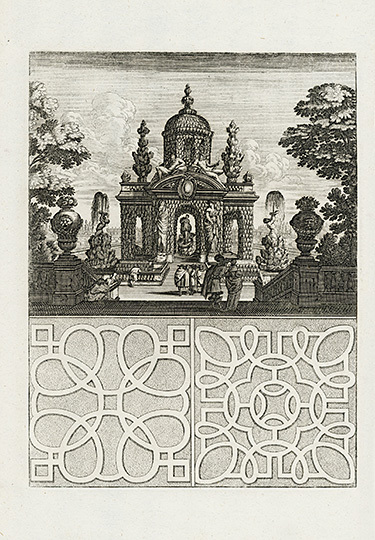 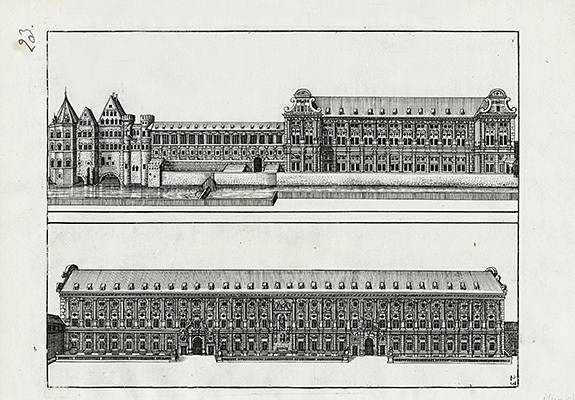 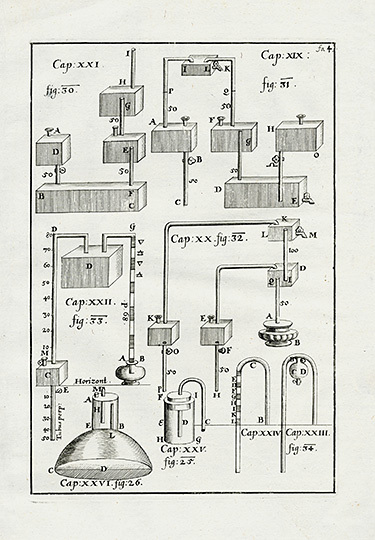 The measurements are approximately 9 by 13 inches and a copy of the frontispiece accompanies each print. 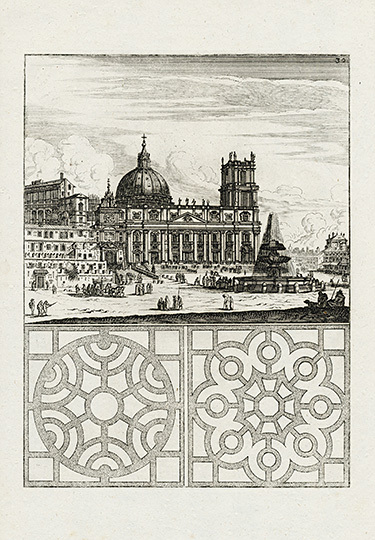 It is truly a wonderful work that not only has historical and scientific value, but presents these beautiful feats of engineering and architecture in a superbly decorative manner.